Is Your Child Involved With Social Services? Battle of the Property Portals – is it the demise of Zoopla? EXECUTORS – Do you know your responsibilities? 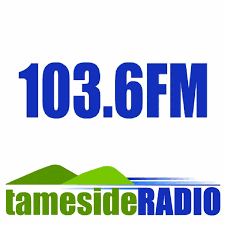 Listen Again to Bromleys’ David Hilton on Tameside Radio. Tune in at 2hrs 9mins to listen David chatting to presenters Joshua Littlehales and Jan Lord on a variety of topics such as Court of Protection, Dementia, Lasting Powers of Attorney and find out about David’s career path and what he does to unwind after a busy day at the office. Bromleys Solicitors LLP is authorised and regulated by the Solicitors Regulation Authority under no.558557. “Bromleys” is the trading name of Bromleys Solicitors LLP, a limited liability partnership registered in England and Wales under no.OC362541.